LOKER PABRIK TANGERANG | PT.Star Cosmos didirikan di tahun 1976 oleh Bpk. Ir. Alam Surjaputra. Saa tini kami adalah salah satu market leader di industry peralatan rumah tangga di pasar Indonesia. Tahun 1996 kami berhasil mendapatkan sertifikasi SNI (StandarNasional Indonesia) untuk produk Sarana Penyimpan Beras. 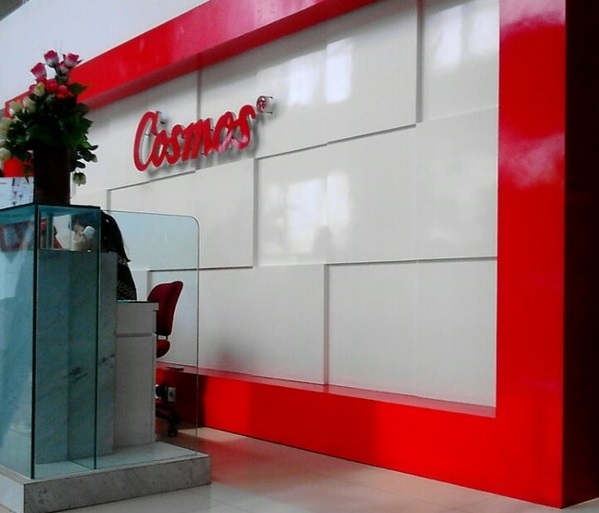 Dari SNI ini, seluruh sarana penyimpan beras yang beredar di Indonesia diharuskan mengacu pada standard yang Cosmos telah tetapkan. Pada Tahun 2003 mendapatkan Gold Award dari Indonesia Good Design untuk produk Sarana Penyimpan Beras(Cosmos Bio). Candidate must possess at least a Diploma or bachelor degree Design Comunication Visual or Graphic Design. Able to operate photoshop, corel draw, illustrator. Working in creative, innovative, integrity. Candidate must possess at least a Diploma of Design or Technical Engineering. Working in detail and organized. At least 1 year(s) of working experience in design product for this position. Strong understanding of Ms SQL with excellent Query and database skill and Sharepoint 2013 development (advantage). Candidate must possess at least a Bachelor's Degree, Engineering (Electrical/Electronic), Engineering (Industrial) or equivalent. Min IPK : 3.00 (Grade 4.00, from Reputable University). Candidate must possess at least a Bachelor's Degree, Computer Science/Information System, Engineering (Computer/Telecommunication) or equivalent.